The south zone bench of National Green Tribunal (NGT) approved sand mining on the banks of Valapattanam river in Kannur district of Kerala. An appeal was filed against the order of the State Environmental Impact Assessment Authority (SEIAA) of Kerala dated December 17, 2015, that had earlier given environmental clearance for river sand mining in the stretch from Parassinikadavu bridge to Valapattanam bridge in Kannur District. SEIAA had noted that mining shall be done manually and its depth shall be restricted to three metre or the groundwater level. 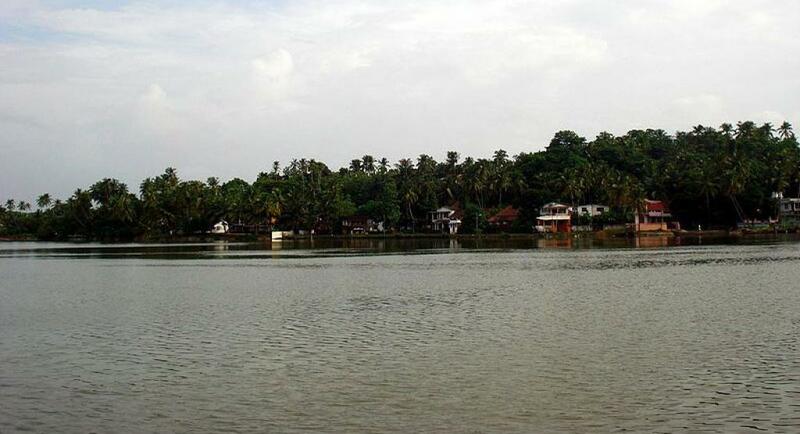 It had further added that manual dredging should be strictly based on the Kerala River Bank Protection and Regulation of Removal of Sand Act 2001, Rules 2002 and Amendment Act, 2013. SEIAA’s clearance classifies the mining project in category B (area below 50 hectares). NGT noted that as the project area is below 25 hectares, it should be re-classified to category B2. The court also added Environmental Impact Assessment or Environmental Management Plan study is not required as the clearance allows only manual mining and restricts the use of machines. The Valapattanam River flows from the Western Ghats into the Arabian Sea. Its riverbed is exposed to massive amounts of sand mining. A sand audit done by Thiruvananthapuram-based Centre for Environment and Development in 2014 marked that a 34.8 km-stretch has sand in abundance (Table 1). Total of 3,153,60 cubic metre sand deposit is available with only 22 per cent of it restricted from mining activities. Concerns were raised on sand mining clearance after opposition by locals in Pamburuthi, a small river island. As suggested by Pampuruthi Island Protection Council and the CH Cultural Centre in Pamburuthi, the size of the island has shrunk from 125 acres to 90 acres, subjecting around 3,000 people to environmental hazards. According to Sustainable Sand Mining Management Guideline of the Ministry of Environment, Forest and Climate Change, 2015, over-mining of sand is jeopardizing the health of rivers and sand mining is taking place in an unsustainable manner. As per Geological Survey of India, riverbed mining alters the physical characteristics of the river and riverbed, severely impacts the ecological equilibrium of a river and damages plants, animals and the riparian habitats. When the extraction rate exceeds the replenishment rate, significant and potentially irreversible changes occur in the hydraulic conditions and channel stability. In this case, residents of Pampuruthi report salinity in groundwater due to sand mining in the locality. 2014: Local residents of Pamburuthi protest against sand mining. February 13, 2015: National Green Tribunal (NGT), Southern Zone, Chennai, directs to ban illegal sand mining around the island located in the Valapattanam River. May 05, 2015: State-level Environment Impact Assessment Authority (SEIAA) gives environmental clearance for sand-mining in 58 out of 81 kadavus. May 12, 2015: NGT southern zone bench bans sand mining in the Kolachery, Pappinissery, and Narath panchayats of Pambudruthi Island. December 30, 2015: Clearance given to sand mining at the ‘kadavus’ outside the 500 metre radius of the Pamburuthi island in Valapattanam river. February 1, 2016: NGT bans sand mining in all kadavus in Kannur. February 22, 2016: Ban on sand mining lifted, except in 12 locations those between Parassinikkadavu and the Valapattanam bridge, including the kadavus in Kolachery, Pappinissery and Narath panchayats along Valapattanam River. May 10, 2016: NGT order supports Environmental Clearance for river sand mining. Oeder is to be opposed. Mining will cease the extstence of the island.